Parting from your child for prolonged periods of the day can be really scary, especially if you haven’t done it before. However, it is necessary for their development and for your benefit. Whether they work or not, parents deserve a break. Day nurseries are a fantastic form of childcare and can provide your child with a number of benefits, particularly in regards to their eventual transition into school. Little Poppets Nursery provide an outstanding day nursery in Leicestershire that will give your child that extra boost when it comes to going to school and allows parents to work or have that much needed break. Day nurseries have been proven to provide your child with a number of advantages. Children are given a structured day, full of activities and tasks in which they can engage with. By participating in an activity that they maybe wouldn’t have access to at home, your child has an opportunity to develop some extra skills and talents that they can take with them throughout their lifetime. Our dedicated nursery staff are trained in how to encourage your child to pursue these new-found skills and help them to develop further. Additionally, your child will gain some highly valuable social skills. They have the opportunity to interact and play with other children in a safe environment, and this will definitely put them in good stead when it comes to school. They’ll feel comfortable in a structured school environment, so the process of starting up at a primary will be a lot less intimidating and scary for them. They’ll be used to being dropped off and picked up, so the separation anxiety won’t be as intense for both parent and child. 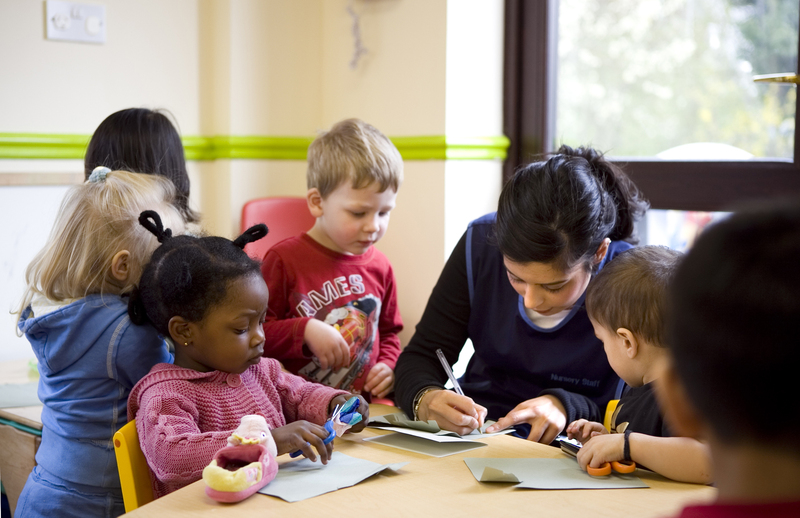 Our day nursery in Leicestershire is also a very reliable option when it comes to childcare. If your child has a childminder, illness can be a huge problem. At Little Poppets Nursery we have a team of staff who your child will be accustomed to, so you won’t have to worry about finding alternative arrangements if one staff member is ill. We are open from 7:15 am to 6 pm on Monday through to Friday, so you won’t have to worry about rushing to or from work. These hours provide a lot of flexibility, and it means you can work without worrying about your child. Little Poppets are fully compliant within the Ofsted inspection and regulation procedures. You can check out the results of our inspections and see what we have done to improve based on the feedback we have received. You can drop your child off confident in the knowledge that they are at a nursery that truly cares and only wants the best for your child. Our staff are well trained and dedicated to ensuring that the children in their care are comfortable and well entertained. If you’re interested in our fantastic day nursery in Leicestershire, please give us a call today. We can be contacted on 0116 243 4209 or you can fill out the contact form on our site and we will get back to you as soon as possible.